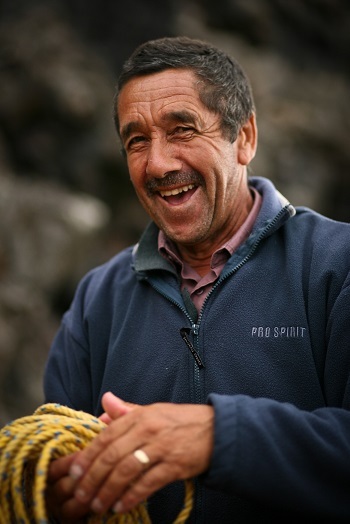 Obituary for Tristan da Cunha islander Alfred Rogers, who passed away 19th January 2017, aged 65. We regret to announce the death of Alfred Thomas Rogers on Thursday 19th January 2017, aged 65 in a very tragic vehicle accident. Although named Alfred he was known to everyone as 'Toddo'. Toddo was born on the 16th February 1951, to parents Marjorie and Rudolph Rogers. He was first employed by the Tristan Government Public Works Department and after a few years he changed jobs and went to work for the Agriculture Department. Later he resumed employment in the Public Works Department, where he worked even after retirement until the day he passed away. During this time he was also employed as a local fisherman, from the age of 15 years old, partnering his brother Patrick Rogers up to the day before his death. He had a huge passion for fishing and took great pride in his work. Toddo was a pleasant, caring man who always greeted people with a big friendly smile. He loved to play jokes with all who knew him. As most people know he was a hard worker and could turn his hand to any job. He was always willing to help others and was well known for driving the Dieci Mixer. He enjoyed going on Nightingale trips, loved working in his potato patches, which he took pleasure in, and tending to his animals. He loved his country music and family and friends would witness him listening to this on many occasions. Family meant the world to him. As a valued member of the Tristan community he will be greatly missed by all those who knew him on the Island and overseas. Toddo is survived by his wife Rhoda, children Gerald Rogers (in the UK) and Geraldine Repetto; grandchildren Ryan and Genna Rogers (in the UK), Chantelle and Katie Repetto; son-in-law Paul Repetto; sister Doreen Swain; brothers Ronald, Roy and Patrick Rogers. The family would like to thank everyone for their kind support and messages of sympathy during this very distressing time.